We are located in Belgrade, Serbia. 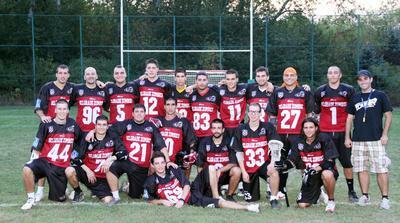 We are the third lacrosse club in Serbia (the first one is Belgrade Zombies, second one is Belgrade Bears), all are registered officially, though for now only Belgrade Zombies have sufficient equipment and jerseys. 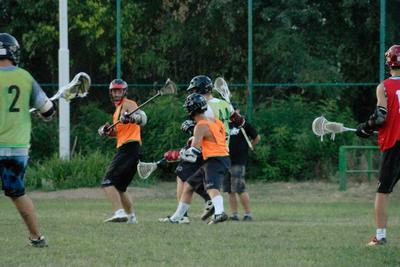 I am Ivan Negrojevic, one of the founders of Belgrade Phantoms Lacrosse, but until we hold some kind of draft in March (as all players are currently in Belgrade Zombies), still playing for Belgrade Zombies. We are mostly students but there are kids of 16+ of age in teams too. The whole story of lacrosse in Serbia was started by a Canadian, Brian Gorodetsky, who came to live and work in Belgrade, Serbia. The situation is not so great because of the lack of funds (we pay everything by ourselves) and we mostly use used equipment from couple donations from Canada and FIL (though team(s) are growing so this is becoming less then enough), but that hasn't stopped Belgrade Zombies from participating on International tournaments in Europe (2nd place in Sofia Cup 2012 in Bulgaria, 2nd place in New Years Cup 2013 in Budapest, Hungary, couple more tournaments where we participated together with other teams etc.) and in all tournaments we made great scores against tougher opponents, teams that are considered to be among the best in continental Europe. We have organized a clinic in 2011 which was lead by a coach Christian Arnold who coached Austrian national team, and a tournament in 2012. with six teams, coming from Poland, Hungary, Croatia, Bulgaria. 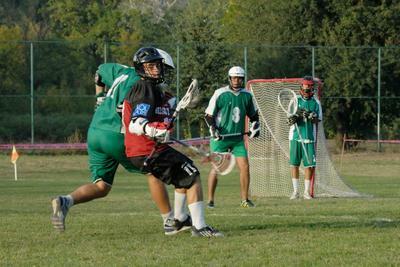 We are planning on growing the game of lacrosse in Serbia, participating in more international tournaments in 2013. in Austria, Czech Republic, Poland, Germany either as a team or as pickup players (how the circumstances and finances permit). 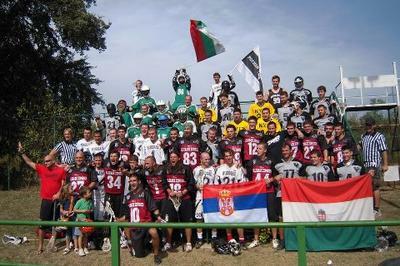 Also, we are planning to fund-raise and do everything we can to form a national team this year and send it to the Denver, Colorado World Championship in 2014. and couple of NLL lacrosse players of Serbian origin (Gajic brothers) expressed the will to join the national team if we succeed in that undertaking. As for the ways Simply Lacrosse can help us, mostly by promoting us, letting people know that lacrosse is played in Serbia, maybe even helping us fund-raise, get new equipment or even lacrosse or general companies willing to sponsor lacrosse efforts in Serbia. For now, Belgrade Zombies and Belgrade Bears have their web sites (http://zombielax.net/ and http://belgradebearslax.com/ respectively), and us, Phantoms will be establishing one soon). As for our greatest need, I think that would be speeding things up on establishing the new teams by getting the necessary equipment.